Vibram® FiveFingers® footwear is designed to promote better foot mechanics–naturally. An orthotic is an assistive device to support your foot's function and help you compensate for any biological aberrations. 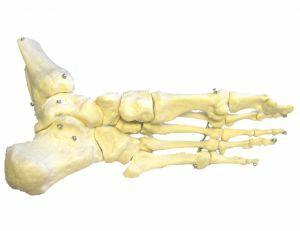 If you have an extremely flat foot, you will need to work into wearing your FiveFingers® gradually, as your muscles will need time to adapt and strengthen. Can I use my orthotics in my Vibram FiveFingers? Vibram® FiveFingers® are designed to be worn directly against the sole of your foot. Putting something between the two would defeat their purpose. My feet hurt hurt after wearing Vibram FiveFingers. Is this normal? A minor adjustment period is normal while you are breaking in your feet. This should disappear after a week or two of use. Remember to break your feet in gradually to minimise discomfort. I was told I was a pronator. I was also told by some experts to buy certain types of shoes for motion control. Can Vibram FiveFingers help me or should I steer away from them? For some pronators (people whose feet tend to flatten during full weight–bearing exercise) Vibram® FiveFingers® will be too much of an abrupt change in biomechanics. We always recommend what we call a micro progression into FiveFingers®. The too–much–too–soon phenomenon can be a problem for anyone's foot. In the case of heavy pronators, FiveFingers® might not be a wise choice for weight–bearing activities. Pronators will definitely benefit from some focused rehabilitation and foot–specific exercises before wearing any minimalist footwear. While standing, look at the arch on the inside of your foot. If you don't have one, or it is minimal, you have flatter feet. If you are unsure, please contact your health professional.